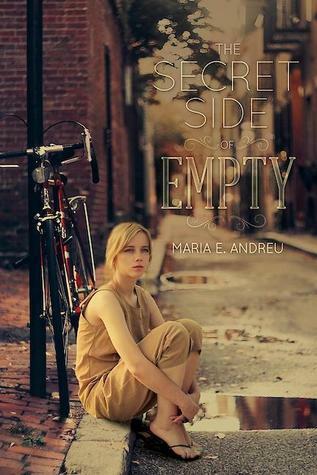 Maria Andreau has written an important and timely book with The Secret Side of Empty. She puts a human face on the issue of immigration and the real dilemmas families face when they come to this country undocumented. This book is a fast, enjoyable, and page-turning read. Here's what worries me though: because this book is so timely and because it is so "of the day," it runs the risk of being obsolete in a few years. Immigration will always be an issue in this country, so that's not the reason I fear this book will struggle to attract readers in a few years. The reason that concerns me is because the main character in this book is so often on Facebook, what happens when Facebook is no longer part of our everyday existence? We already hear that so many teens today aren't using Facebook anymore, so imagine in a few years when the social network is really off their radar. Imagine an author writing a YA book where the main character talks about going on MySpace, or signing onto AOL. Granted, Facebook has had more staying power than most technology, but when you write a book that is so engrained in the real-world of the moment rather than creating your own fictional world, an author runs the risk of giving her book a shelf life. My bias as a reader is always to favor books that are contemporary but also timeless. Don't get me wrong, The Secret Side of Empty is an enjoyable read and one that I think could really attract reluctant readers today in 2014, I just don't know if that will be the case in 2019. I hope it will, but I'm not sure. As far as who I would recommend this book to, I think readers who love Sarah Dessen's novels would find The Secret Side of Empty engaging.